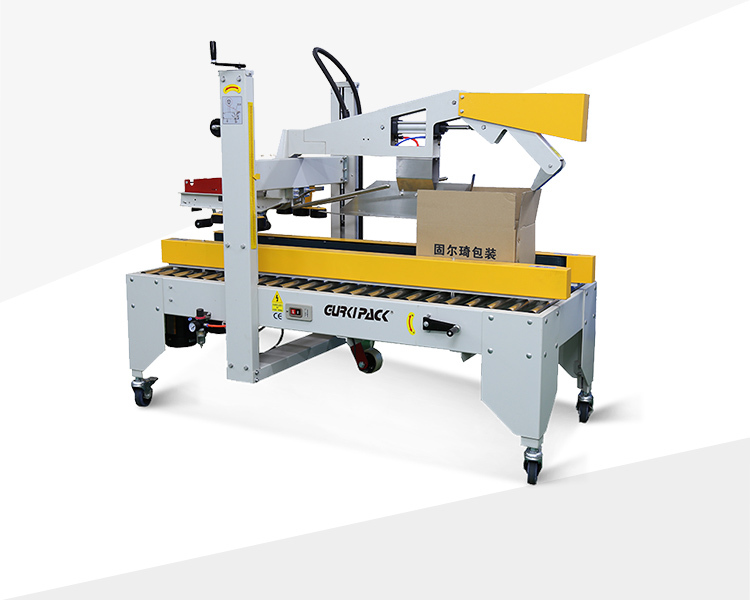 Semi-auto flaps folding carton sealer GPC-50D automatically attaches the tape to the top and bottom, no need for manual work. It uses adhesive tape to seal the carton, not only the sealing effect is beautiful, and the sealing is firm. The use of the automatic packaging line will better reflect the value of this machine. This type of sealing machine is widely used in food, medicine, beverage, tobacco, daily chemical, automotive, cable, electronics and other industries at home and abroad. Applicability: The automatic sealing machine can be used in a single machine or in conjunction with an automated packaging line.